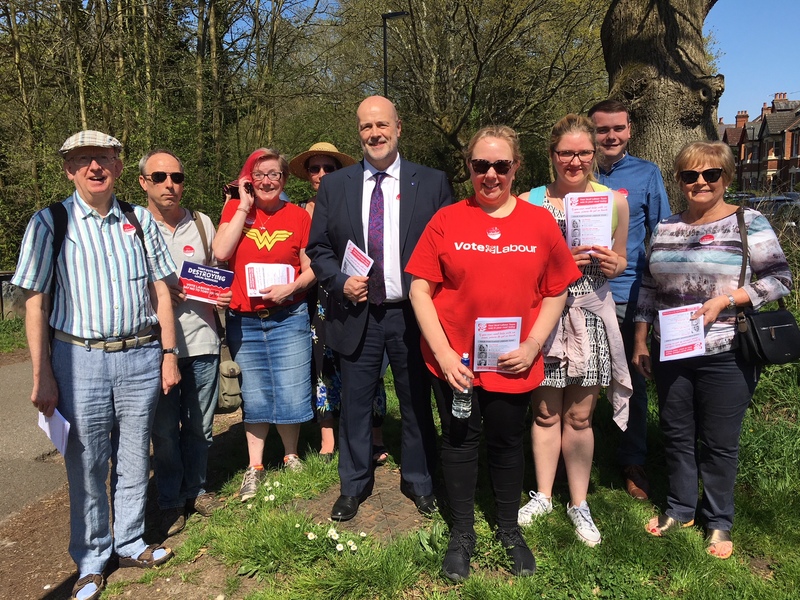 In May Lisa Mitchell gained Portswood Ward in Southampton Test for Labour, she is pictured above, second to the right of John, during the campaign. I am very lucky to represent a diverse and vibrant ward in Southampton where a lot of my residents are going to be affected by Brexit. Many of them either work or study at Southampton University which is a big employer both in Portswood and the city in general. Leaving the EU is going to have a huge impact on research funding which will no doubt affect jobs. Student numbers from the EU could also fall as there are no guarantees that fee structures for these students will stay the same as they are now. For those of my constituents who come from EU countries they are now living with increasing uncertainty about their rights to live and work in a post Brexit U.K.
My ward also has a great high street full of pubs, restaurants, cafes and small independent shops such as the October Books which is a Portswood institution. I worry that Portswood High Street may not fare very well if prices start to rise and people’s wages are squeezed in the event of a hard Brexit."